For the past four years the organisation 14-18 NOW has been commissioning arts projects around the UK to mark the centenary of World War One. Certainly not all have been afforded equal attention – the national media have given most publicity to the ceramic poppies installation Blood Swept Lands and Seas of Red by Tom Piper and Paul Cummins and the film They Shall Not Grow Old by Peter Jackson – but many of us tend to see any increased public and private funding of the arts as, in general, a good thing. It was therefore quite stimulating to hear one serious dissenting voice, that of journalist and author Simon Jenkins. Former UK Prime Minister David Cameron allocated £50 million to the work of 14-18 NOW to commemorate World War One, he observed acerbically, while at the same time as he was encouraging the country to join a present-day war in Syria. “125 artists rallied to the cause,” he said – his use of the vocabulary of military recruitment almost certainly not accidental. Jenkins’ main argument on BBC Radio 4’s The Moral Maze was that large government-sanctioned arts and cultural events to mark historical anniversaries were becoming too common and were “synthetic” and even “slightly obscene”. Historians rather than artistes were more skilled in the delicate tasks of remembering and forgetting which constituted the true process of recording history. Of course, Jenkins’ position is a generalisation: not all writers of history books are equally rigorous and incisive and analytical, while many creative artistes certainly display those qualities. Governments are usually most comfortable with artistes who seem to fit a familiar stereotype. Danny Boyle is certainly a well-known and successful film director, and already establishment-approved for his 2012 Olympic Games opening ceremony show. He was the leader of the most recent 14-18 NOW project, Pages of the Sea, in which faces of war veterans were drawn on the sand of many UK beaches. 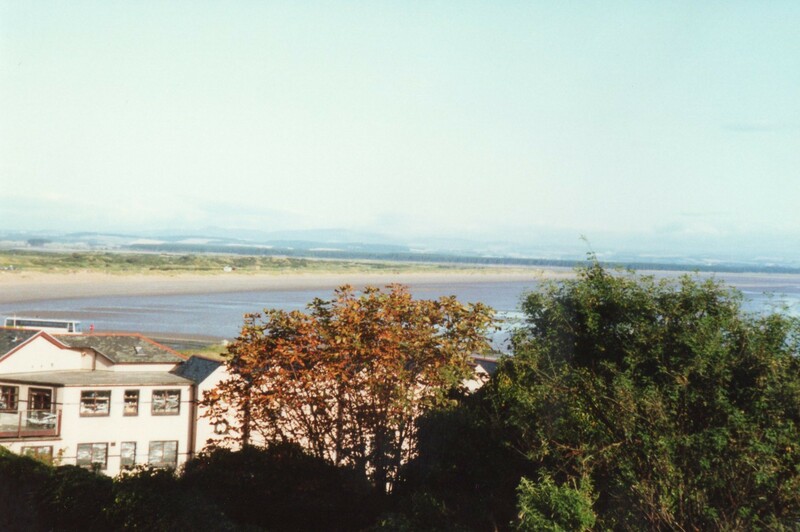 One of the beaches selected was at Ayr on the west coast of Scotland. Here are some photographs of the Ayr event, co-directed by the National Theatre of Scotland. The principal “official” sand drawing was of one Walter Tull, but members of the public were encouraged to draw and identify their own family members. The incoming tide eventually erased the pictures as people gathered to read in unison a new Carol Ann Duffy poem “The Wound in Time”. As the Poet Laureate during the past nine years, Carol Ann Duffy is also an establishment figure but one who has displayed a wide range of literary and other skills. “The Wound in Time” is her second World War One commemoration poem, after “Last Post” in 2009. Both borrow gently from Wilfred Owen in creating powerful new ideas. “Last Post”, which has the more straightforward structure and so reads more crisply and clearly, yearns for the power to erase the gas attack which Owen described so vividly in “Dulce et Decorum Est”, and to return its soldiers to the pre-war life of health, home, work and happiness. In the denser “The Wound in Time”, the repetition of the sounds of the present participle “-ing” and the sibilant “s” simulate waves on the beach: not only do they fail to clean the horrible bloody events from history, they serve as a reminder that human beings’ violent warlike behaviour continues incessantly. The best book about World War One? 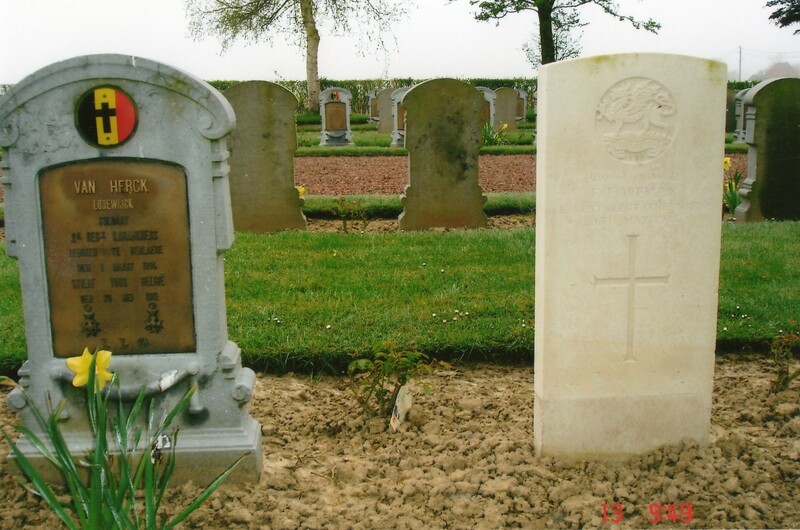 Some graves of unidentified British soldiers on the Western Front. Visitors to the British trenches near Ypres. It was many years ago, possibly as many as 30, when I heard Paul Fussell’s 1975 book The Great War and Modern Memory praised on a radio programme as the best book ever written about World War One. If I had been older then, I perhaps would have been more sceptical about the grandiose claim. Instead, it fixed an ambition to read it which I finally achieved within the last year. Fussell’s book still held plenty of delights for this jaundiced older reader. It is not a conventional history in that it does not provide a summary of battles and does not deal with military strategy. It concentrates more on the writings of those who took part, whether published and famous, or informal and unknown. His original preface said the book was about “the British experience on the Western Front between 1914 and 1918 and some of the literary means by which it has been remembered, conventionalised and mythologised”. As in any good work of non-fiction, different information and arguments will appeal to different readers. For me one of the most remarkable is that the trenches in Flanders were only 70 miles from the safety and comfort of middle-class London – a “ridiculous” and “farcical” proximity. People on the south coast could hear the sound of shells yet they were totally separate from the horrible experiences of their soldier menfolk. London vehicles were used in the trenches and letters and parcels from home took only four days to arrive at the front line. That journey from home to front was a vastly different experience depending on whether you were a senior (upper-class) officer or of a lower rank and Fussell suggests this difference could be seen as an early sign of the divisions of the 1926 General Strike and the 1945 General Election. The authorities set up an exhibition trench in Kensington Gardens to educate the civilians, but it of course bore no resemblance to the real ones – which were always wet, smelly, full of lice and rats. But not all trenches were the same : German trenches were apparently better built and even comfortable. Another startling Fussell insight is that all the soldiers of World War One period had an “unparalleled literariness” – since the war took place at a time when people believed strongly in the enriching and educational powers of literature and working people were becoming more educated especially through reading. 18th century literature was particularly popular because “it offered an oasis of reasonableness and normality”. The chapel in the British army club of Talbot House in Poperinge, Belgium. View of street in Poperinge from Talbot House. Fussell deals in detail with the famous World War One soldier writers Siegfried Sassoon, David Jones, Robert Graves, Edmund Blunden and Wilfred Owen, but equally with other unknown letter writers and diarists. He also refers to later wars and later literature such as Evelyn Waugh’s Sword of Honour trilogy, Joseph Heller’s Catch-22, and Thomas Pynchon’s Gravity’s Rainbow. The grave of Staff Nurse Nellie Spindler, one of the very few women to be buried on the Western Front. Sculpture by Kathe Kollwitz in German cemetery. Sculpture by Frederick Chapman Clemesha in cemetery to the Canadian war dead. One small but important way in which the World War One has continued to influence daily life in the 21st century is the abundance of unexploded bombs and shells which litter the former battlefields. A profoundly tasteful and artistic World War One commemoration is the series of wooden statues of soldiers of the period carved out of tree trunks and located within the woodland of Rozelle Park in Ayr. The statues were carved by Iain Chalmers, Andy Maclachlan, Peter Bowsher and Craig Steele. Some photographs of Newcastle and Durham – the approximate settings of “When the Boat Comes In” – including a few buildings which would have been recognised by its 1920s characters. I was a great fan of the drama series When the Boat Comes In, written mostly by James Mitchell, when it was first screened on BBC television in 1976 and 1977. While my initial viewing was random and perfunctory – it was scheduled after the essential Top of the Pops and I was already a fan of its lead actor James Bolam through Whatever Happened to the Likely Lads? – I was soon engrossed in its dramatization of working-class life in the north-east of England in the years directly after World War One. In particular by the exploits of Jack Ford, played by Bolam, the handsome, clean-featured ex-sergeant who appears to have survived unscathed four years of trench warfare in France and Flanders , plus a period of unspecified “intelligence” work with the British forces supporting the White Russians against the Bolsheviks during the Russian Civil War. Ford is simultaneously presented as ambitious, charming, generous, resourceful and ruthless, whose leadership qualities are variously used in becoming the local head of his trade union and in challenging local employers, making money as an independent capitalist and promoting the careers and employment of those he regards as friends. That historical period was a popular setting for drama then, as it still is. It was a time of great social upheaval as people moved out of domestic service and farms into factories and as women gained a more independent and public role. The battles of the Great War were fought over small geographical areas by soldiers who knew similar small geographical areas, serving alongside men from the same locality as themselves. The scale of its casualties was horrendous and notorious so those who returned home without serious injury must have been regarded with some awe. Watching the series again provides a striking reminder of how many ways and on how many occasions it is that recently fought war which specifically influences the present behaviour and ideas of the characters. This begins in the very first episode, pointedly entitled “A Land Fit for Heroes and Idiots”, with Jack Ford’s overt cynicism at inaccurate newsreel footage of the war and his organised political protest of throwing down campaign medals in scorn at the victorious Liberal parliamentary election candidate. 40 episodes later, in the story “High Life and Hunger”, Ford scornfully refers back to that Lloyd George “Land Fit for Heroes” promise as he watches hunger marchers . In between those two episodes, James Mitchell and the other scriptwriters contrived many other convincing devices to show the dark shadow of war experience stretching into every area of post-war existence. For example, the way in which Ford plans a sheep-stealing expedition like “a trench raid” and how he publicly identifies the former regiments of Fitters Union members to show the union official from London that his members are professionally trained to “deal with” strike-breakers; how the unpleasant Channon knows as much about explosives as Ford or any of the more heroic characters from his own war service with the engineers and so is unpersuaded by their explanation of the destruction of the priceless Vanburgh-designed house Mandrake Place; the plight of the widow Elsie Carter who gets no war pension because her husband though killed in France was not on active duty; the reason why “Ten Bob” Tiverton the artist who had lost an arm took to forging bank notes. The war is also the source of one of the longest narrative threads: Ford’s business association and rivalry with Sir Horatio Manners, the nouveau-riche father of his former company commander. Small wonder that female characters of different social classes, whether Sarah Headley or Lady Caroline Summers, often make at different times comments like “You men and the war” at yet another memory or anecdote. The programme’s fourth and final series, broadcast originally in 1981, stretched the story into more specific events, beyond the Wall Street Crash and into the rise of Nazism and the Spanish Civil War. These did allow some variation of the Ford character, presenting him as prone to excessive drinking, a little less impressive and a little more jaundiced, still ambivalent about how to balance and blend his competing individualist and collectivist instincts. He angrily lists at one point the only true friends he ever had: army comrades who are now dead. Living now in London, he criticises a beggar who is exaggerating his war experience to encourage more generous donations. By this time we have heard Ford himself repeat on several occasions one particular war experience about watching the death of the young officer, Captain Manners (“What am I doing here, sergeant? I should be at the Savile Club” ) – always to impress the listener, usually female. From the very start of the series we know that he had had saved the life of Matt Headley, his later union colleague and Labour councillor, but only much later that his own life was once saved by a Sergeant Major Fred Randall. His parting advice to the beggar is “Get your story straight”. Perhaps we wonder by this time how many of Ford’s past exploits are true, how often we the audience might have been taken in by his charming loquaciousness, but nobody is now around to provide an alternative version. Like all TV drama series from the 1970s and 1980s, When the Boat Comes In is true to its own period, showing its debt in construction and presentation to theatre plays such as by Shaw or Priestley. This means that it includes one or two comic-dramatic set-pieces which tend to slow down the excitement of the narrative, like the party turns at the Seaton family’s New Year party and the storyline of digging for coal under the Seaton front room. However, most of those first three series contained richly written and convincingly acted stories of poverty, unemployment, industrial conflict, political activism, slum living, hand-to-mouth subsistence and the slow struggle to comfort and (sometimes even) prosperity. And even the weaker episodes still show a craftmanship which is missing from 21st century TV standards. As the Western gradually became a less popular genre within Hollywood film production during the 1960s and 1970s, its writers and directors dealt more often with the grittier details of life in those US frontier states in the two or three decades after the American Civil War. Many of these films were small budget affairs, like Bad Company and The Culpepper Cattle Company. I remember Clive James describing, on the Cinema TV programme, how the latter made the West look “about as glamorous as a clogged sink”. Two released in 1969 were The Wild Bunch, directed by Sam Peckinpah, and Butch Cassidy and the Sundance Kid, directed by George Roy Hill. The Wild Bunch featured established actors William Holden, Robert Ryan and Ernest Borgnine, while Butch Cassidy and the Sundance Kid cast the already famous Paul Newman and made a celebrity out of his co-actor Robert Redford. Both narratives, however, are set in the early 20th century, well past the frontier’s most celebrated times. Particularly interesting are those sections in both films which highlight how the world is changing around these ageing gun-slingers. The Wild Bunch opens in a law-abiding town, populated by well-dressed families, which is disrupted violently by a shoot-out between Pike’s band of outlaws and the band of bounty hunters hired by railway boss Harrigan. Instead of coins or bullion, the gang’s bank break-in gains them only metal washers. This is just one symbol of how their way of life has become old-fashioned and redundant. Another is where these horse-riders encounter the powerful presence of the new automobile owned by the Mexican general Mapace. The film presages the imminence of World War One through the character of the German arms expert investigating the availability of American munitions. The later use of the machine gun demonstrates the brutally efficient methods of killing which are now becoming available, while Pike’s gang are still involved in the business of stealing rifles. Butch Cassidy and the Sundance Kid begins with a summary of the past exploits of the Hole in the Wall Gang as presented by the new whirring movie camera with accompanying melancholy music . As the film’s opening holds the sepia colours of the previous newsreel, Butch Cassidy is presented with evidence of changing times. A “beautiful” old bank has been replaced by something more secure but uglier simply because “people kept robbing it”. Comparable to the Wild Bunch’s meeting with the automobile is a scene in Butch Cassidy where a bicycle salesman takes advantage of the crowd assembled by the marshal to raise a posse in order to publicise his new product. Just as Pike in The Wild Bunch seems knowledgeable and impressed with the new motor-car, Butch Cassidy is attracted to the bicycle. He is seen riding it both solo and with the Sundance Kid’s girlfriend Etta Place as a saddle companion, demonstrating that, although dissatisfied with the modern design of banks, he is comfortable with other examples of technical progress. Both outlaw gangs are aware of the need to adapt to changing times. “We’ve got to start thinking beyond our guns, those days are closing fast”, exhorts Wild Bunch leader Pike. He and colleague Dutch have several reflective exchanges about personal limitation, the risks of armed robbery as a lifestyle and the importance of integrity. Both groups of outlaws are thwarted in their efforts to move with the times. The Wild Bunch agree to acquire weapons for the Mexican army, but the contract becomes complicated by their Mexican member Angel who wants to help local villagers in their struggle. Some of the weapons are transferred to the villagers, with unhappy consequences. Moving to Bolivia, Butch Cassidy and the Sundance Kid find legitimate jobs as payroll guards for a mining company which immediately lead to people being killed, and to the very first time, according to Cassidy, when he has been required to shoot anyone face to face. Towards the end of Butch Cassidy, the outlaws, returning to crime, are involved in a gunfight with the local police, which has them wounded and pinned down. The final ending of their violent deaths at the hands of dozens of Bolivian soldiers becomes a freeze frame which changes further into a archetypal sepia newspaper photo. The elegiac music from the opening returns; romantic individual daring and ambition have been crushed by anonymous modern military might. The final gunfight at the end of The Wild Bunch comes after they have failed to negotiate Angel’s release from the Mexican army. As Pike starts random shooting, his face wears an expression of scorn and anger. He first shoots the German arms negotiator perhaps because he is a character of notable corruption, but mostly they are killing because it is all they know how to do. Women, children, possessions and buildings are destroyed in the mayhem which the Wild Bunch have begun. After the battle, the wind and the exodus of survivors from the fort suggests that it has been in some way an essential episode of cleansing. Certainly it encourages Thornton, the former colleague who has been leading a group of bounty hunters in pursuit during most of the film, to join Sykes (the last surviving member of the gang) and the Mexican villagers in what might be a more committed revolutionary enterprise against the Mexican authorities. Only a year after its release, around 1970, the compilers of The Sunday Times Cinema series were already confident in choosing The Wild Bunch as one of the Ten Great Westerns. I recall that the brief recommendation about the film (written I think by Tom Milne) ended with “this really is the death of the West”. Actually, I always felt that the ending of Butch Cassidy and the Sundance Kid was the more bleak and tragic. I might also add that, while its conclusion could be said to foreshadow the excessive slaughter which will soon be repeated a million-fold across the Atlantic Ocean, the end of The Wild Bunch might hint at how similar equipment and attitudes will be employed differently elsewhere, starting with the Russian Revolution. Reading Jon Silkin’s anthology The Penguin Book of First World War Poetry has certainly been instructive for me, especially in introducing poems like Edmund Blunden’s “1916 seen from 1921” and “Report on Experience” , Ivor Gurney’s “The Bohemians” and “Butchers and Tombs” , Edgell Rickword’s “The Soldier Addresses His Body” and “Winter Warfare” , and Wilfred Owen’s “Disabled”. The French and Belgian countrysides of the former World War One battlefields are full of cemeteries both huge and grand and (as here) small and intimate. All the poets in Silkin’s collection are long dead, but the conflict’s influence extends into the literature of the present day. Natalie Haynes, one of the Man Booker Prize judges this year, commented about the large number of novels submitted which were set during or around either of the two World Wars. Perhaps people should be banned from studying these periods at school for the next generation, she observed wryly. Evidence abounds of the allure of World War One in particular. The narrative of Downton Abbey opened in 1912, and continued through the war and into the 1920s. R.C. Sherriff’s trenches drama from the period, Journey’s End, was recently revived in London and on national tour. Michael Morpurgo’s 1982 novel War Horse has become a globally successful theatre show and a Hollywood blockbuster film, and his similarly set Private Peaceful is only slightly less famous. 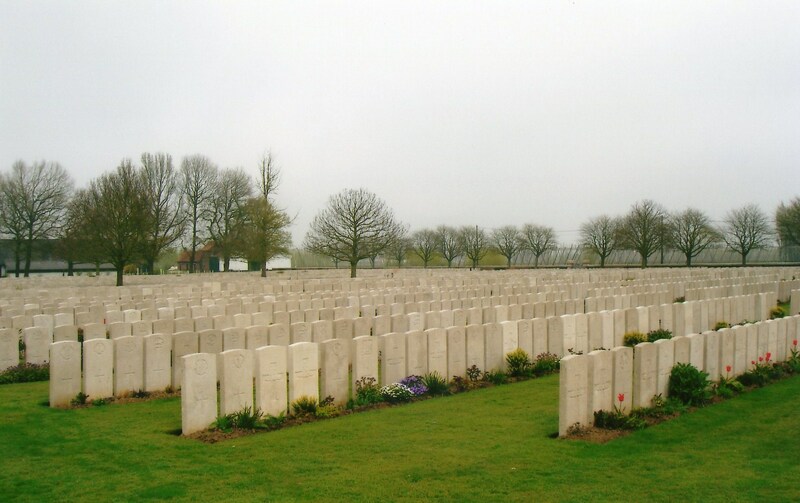 Belgian and British soldiers side by side in this cemetery in Hoogstade. During the last decade media fascination focussed especially on the few centenarians still living who had fought in World War One, such as Henry Allingham, Harry Patch and Claude Choules. These men have all now died, but the forthcoming war centenary plans suggest that interest is not abating even though no one still lives who had personal experience of it. When I was young, I fancied that the militarism and belligerence which seemed prevalent would naturally disappear as the post-1945 period extended. The war experiences of that generation of politicians appeared to influence heavily their policy choices. In turn, those born after World War Two who missed National Service led the protests against the Vietnam War and nuclear weapons, and argued for the advantages in the new post-imperial order. I was mistaken. Although the British families today who have direct experience of war are happily in the minority, compared to being in the overwhelming majority in the 1920s and the 1950s, interest in past and present conflict continues to be strong. Perhaps it is because direct experience is rarer that stories of individual heroism and suffering are publicised so much more; doubtless responsible too are the ever-improving visual techniques with which the media is able to depict them. This understandable sympathy for individual experience has grown alongside a tolerance of the political policies responsible which is more puzzling, especially since the responsible leaders have had no combat experience themselves. One striking example of this sympathy has been the marked growth in popularity of the Poppy Appeal and the Two Minute Silence. Somewhere during the 1990s began the practice of two days of remembrance rather than one, the actual day of November 11 as well as the nearest Sunday. The tabloid press played a big part in this change although there may also have been successful lobbying by the Royal British Legion. Poppy wearing had already become ubiquitous on TV but now the red flower’s picture appeared on every newspaper front page. The Poppy Appeal was now launched by young pop music performers rather than elderly men wearing uniforms and medals. Possibly it was felt that the military charities should share in the youthful fund-raising habit which had already been established by Children in Need and Comic Relief. Like many people, I find the historical period before, during and after World War One a fascinating one from all social, political and cultural perspectives, especially since a visit to some of the battlefield sites in France and Belgium. So, perhaps we should stay optimistic that any war centenary events during the next few years will provide opportunities for education and enrichment rather than for embarrassment and annoyance. 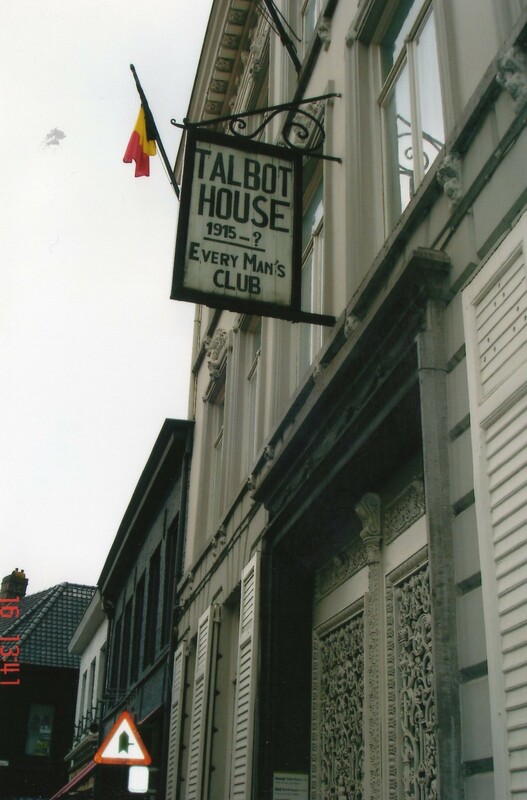 Talbot House, the club for British soldiers of all ranks, which was set up in Poperinge in 1915. 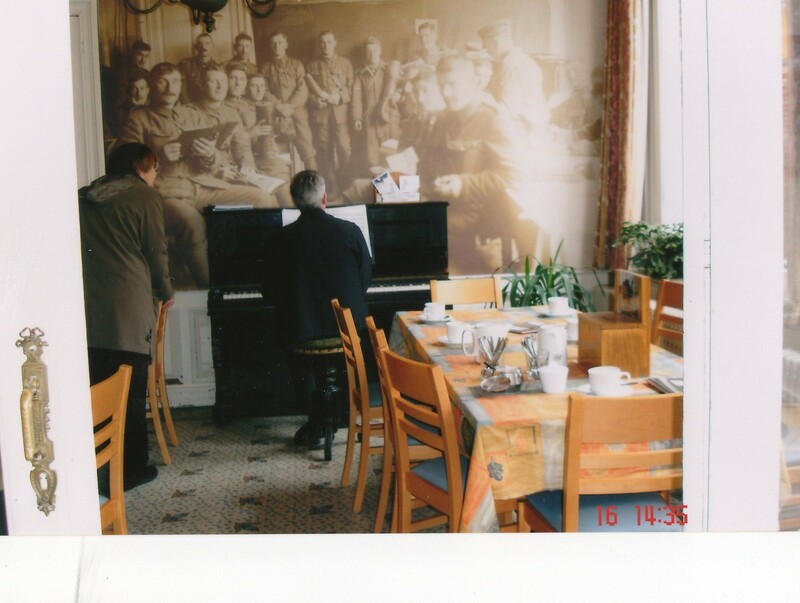 Some visitors to Talbot House at the piano, watched over by some of the previous residents. Back to poetry to conclude : I think Poet Laureate Carol Ann Duffy’s “Last Post” is an imaginative twist on regret for the horrendous destruction of World War One. 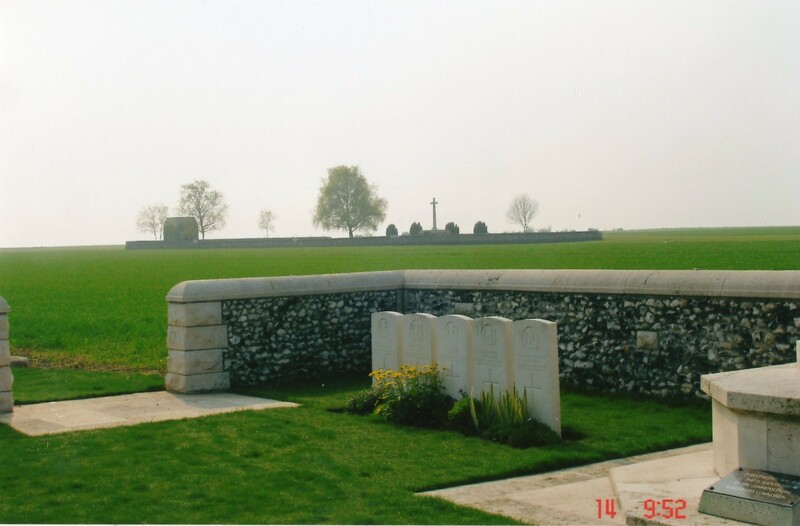 One of the many World War One battlefield cemeteries in France and Belgium. Given our continued fascination with World War One and our post-Olympics desire to find inspiring sporting stories, I’m surprised that Hugh Hudson’s film of Chariots of Fire does not have a higher profile. It’s still more remembered as a (somewhat old-fashioned) success of the past rather than an engaging text of the present. Some of its race scenes are, I think, brilliantly done and can be re-watched separately for their narratives of individual effort and courage : the “college dash” round the quadrangle by Harold Abrahams and Lord Andrew Lindsay while the clock strikes twelve; Eric Liddell’s Scotland run against France at Edinburgh where he makes up a quarter of a lap watched by a disbelieving Abrahams; Liddell’s Olympics win, where his devout voice-over suggests his Christian faith has made his victory almost inevitable. The film contains other great scenes of the psychology of the sportsman. For example, the sequence of Abrahams’ campaign of practice and progress, incited by his anger at anti-Semitic prejudice and depicted to the strains of Gilbert and Sullivan. A few minutes later, Abrahams presents his vision to coach Sam Mussabini at their first meeting, “I want that Olympic medal..I can see it there…but I can’t get it on my own”, and Mussabini wittily brings him down to earth with “it’s the coach that should do the asking”. Mussabini anticipates Eric Liddell’s later move to 400 metres running by telling Abrahams that the shorter distance doesn’t fully use Liddell’s gifts. The longer distance is more suitable for athletes of grit and courage and endurance like Liddell (“a gut runner”), while the 100 metres is “run on nerves” and is “tailor made for neurotics,” and therefore suited to Abrahams, who confesses to being a running “addict”. Abrahams later foresees his 100 metres final as “ten lonely seconds to justify my whole existence”, an idea which I often heard recycled, if more kindly, by the media during the 2012 Olympics. The period of Chariots of Fire is very much that of World War One. The earliest part of the story is set in 1919. No characters are specifically described as having served in the war, or having protested against it. However, both Abrahams and Liddell are presented as post-World War One characters, seeing the weaknesses in traditional national loyalties. Abrahams knows the British establishment prefers those who are Anglo-Saxon and Christian but believes these corridors of power can be trespassed by determination and dedication. Liddell believes that the Christian message is not fully heeded but that when applied it has overwhelming power. As he preaches at the Church of Scotland in Paris, “All nations, before (God), are as nothing”. Abrahams is too young to have seen active service at the front, and all his fellow athletes in the film are equally fresh-faced. Abrahams appreciates his good fortune in missing the war, a comment which earns the approval of the assistant porter when he first arrives at Caius , even while the senior porter is annoyed by Abrahams’ self-confidence, and comments snidely about his Jewish surname. In the next scene of the college dinner, the Master of Caius delivers a sober welcome over shots of the lists of war casualties in the wood-panelled hall, exhorting the new students to apply in peace-time the same standards of self-sacrifice and effort shown by their predecessors on the battlefield . A key scene comes later when the two university dons, the Master of Caius and the Master of Trinity, challenge Abrahams for infringing the university’s long- established amateur sports code. Abrahams defends his employment of an Italian-Arab professional coach as modern and fore-sighted against the dons’ “archaic” values and states, “I’ll carry the future with me”. When Eric Liddell refuses to compete in his Olympics 100 metres heat on a Sunday, the upper-class British Olympic Committee of Lord Birkenhead, Lord Cadogan and the Prince of Wales all try to convince him to change his mind out of patriotism. However, the Duke of Sutherland, the committee President, clearly of the same generation as Abrahams and Liddell, suggests that the carnage of the war has shown that many of the old loyalties are flawed and outdated. He sees Liddell as “a true man of principle” who should be respected. Although his sympathy is not enough to win the day for Liddell until the athletic aristocrat, Lord Andrew Lindsay, provides a practical solution. Some other young members of the British athletics team still represent pre-war values. Although the aristocratic Lindsay is always shown in an attractive and sympathetic light, he is a stereotypical gentleman amateur who does his serious running only a few feet away from cigar and champagne. Fellow athlete Aubrey Montague’s voice-over suggests that he still responds to traditional bonds of national loyalty : “we’re here (at the Olympics) for Britain, and we know it”. In the distance, the beach in St Andrews which was the location for the Olympic squad running scenes at the beginning and end of “Chariots of Fire”. Although characterised as someone fighting against anti-Semitic prejudice, the ambitious Abrahams is never shown as a practitioner of the Jewish faith. While Abrahams uses his individual effort and Mussabini’s professional help to “take on” the Christian establishment, Liddell puts his faith in God to carry him through. Liddell believes his religious faith is entirely relevant to modern life. He explains to his sister, “God made me fast, and when I run I feel his pleasure…to win is to honour him”. That this may give him an advantage in competition with people of lesser faith is acknowledged by his US rival Jackson Schultz whose “good luck” note acknowledges that God said in the Bible, “he who honours me, I will honour”. On the film’s initial release in 1981, I felt that the rivalry of Abrahams and Liddell had an obvious real-life parallel in British Olympians Steve Ovett and Sebastian Coe. The gritty and sometimes surly Ovett seemed like Abrahams, and Coe, the graceful and more approachable record-breaker, seemed like Liddell. In later athletics, Coe probably showed as much determination as Ovett/Abrahams, although you could argue that in his political career he has shown a Liddell-like wish to see beyond the world of training and races and individual glory. Despite its many strengths, the one feature which I do feel dates the film now is the fashion-conscious 1980s music by Vangelis. One or two rough and dissonant sections, such as the one which accompanies Abrahams’s defeat to Liddell, still work well due to their unfamiliarity, but the more swooping and bombastic parts undermine rather than enforce the visuals. I wonder how the score might work with a more restrained, perhaps Edwardian-style arrangement? Perhaps changes were made for last year’s theatre production. I remember the film’s writer Colin Welland saying that he found Eric Liddell rather than Harold Abrahams the more sympathetic and admirable character. Perhaps because, as someone of left-of-centre political views, Welland saw Liddell as a champion of community with Abrahams as more individualistic. If the narrative resonates with younger audiences now, I suspect it is for its two examples of individual striving against institutional opposition and prejudice – and certainly not the importance of religious faith. Of course, it’s easy to forget in the middle of the drama how even struggling outsiders Abrahams and Liddell would have lived very privileged lives in comparison to most others in 1920s Britain.